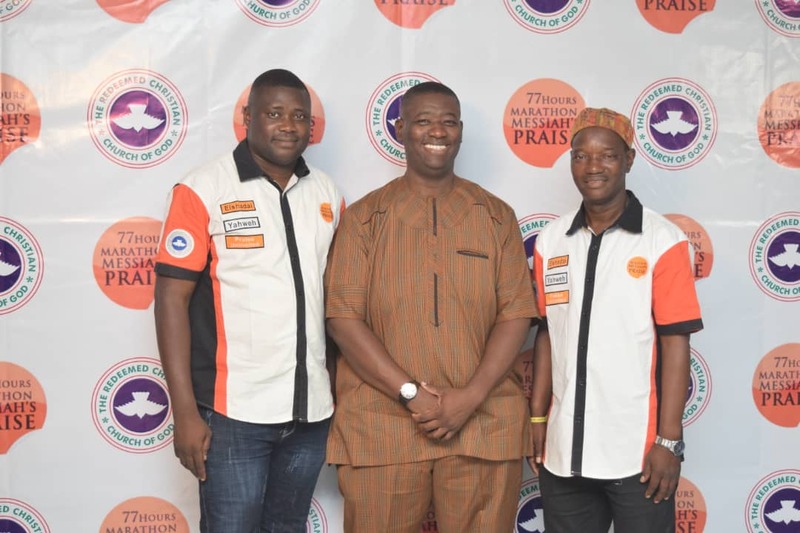 Addressing newsmen at a conference in Lagos on Saturday, the National Music Director of The Redeemed Christian Church of God (RCCG), Pastor Kunle Ajayi affirmed that this Year's 77 Hours Marathon Praise and Worship is expected to reach over 10 Million participants. He said that the celebration which also marks the 77th birthday of its General Overseer, Pastor Enoch Adeboye is expected to have over 120,000 live participants while over 10 million viewers are expected to watch the event on TV and social media channels around the world. There are multiple broadcast streams. One stream will fully cover Nigeria while the other streams will be a mixture of the Nigeria stream and other countries (this is based on the time that the countries are scheduled to minister). The Nigeria stream can be watched on Dove TV (Channel 349 on DSTV) while the other streams can be watched live on YouTube from our website www.mmpraise.org Our online audience can follow us live on our various Social Media Channels. Ajayi who was accompanied by the coordinator of this Year's marathon praise, Femi Oyetunde, and the Special Personal Assistant to the General Overseer of The Redeemed Christian Church of God, Leke Adeboye said that "to ensure a hitch-free programme, over 5,000 people had registered to volunteer in various departments and in other various key sectors of the programme across the participating countries". Speaking about the new things expected during this Year's celebration, He said "a new department – SOTERIA – will be launched for the first time during the 77 Hours Marathon Messiah’s Praise. Soteria is the prayer, evangelism and counseling unit of Marathon Messiah’s Praise where volunteers interested in prayer and evangelism join to share the gospel and pray during the programme. Also, for the past 4 weeks, an online prayer tagged UPPER ROOM has been holding every Tuesday to awaken everyone to the importance of prayers. This prayer gathering is broadcast online via Instagram and Facebook for many to tune in to and join the prayers. All our volunteers will be provided with adequate accommodation and welfare while we depend on Jesus, the Light of the World for the security of lives and properties of all the participants as appropriate preparations will be put in place. Buses will also be made available to ease transportation within Redemption Camp".